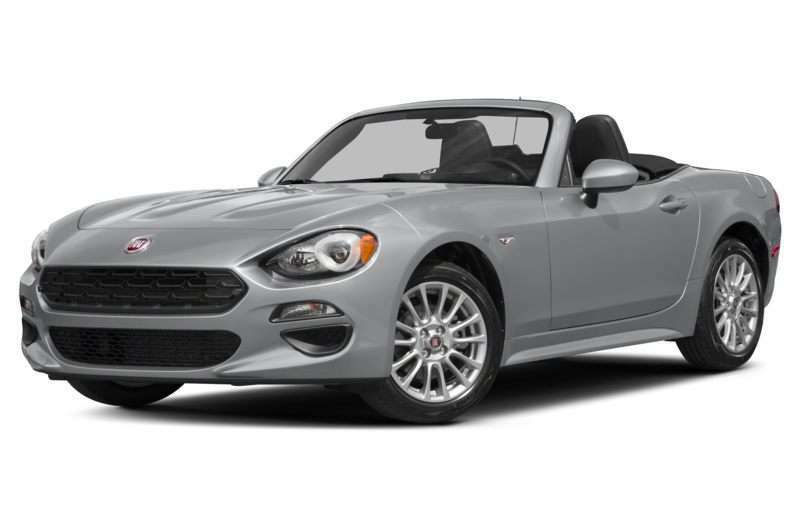 The 2019 FIAT 124 Spider is a 2-door, 2-seat Convertible, available in 3 trims, ranging from the Classica to the Abarth. Upon introduction, the $25,190 Classica is equipped with a standard 1.4L, 4-cylinder, engine that achieves 26-mpg in the city and 35-mpg on the highway. a Manual transmission is standard. The $29,290 Abarth is equipped with a standard 1.4L, 4-cylinder, engine that achieves 26-mpg in the city and 35-mpg on the highway. a Manual transmission is standard. FIAT returned to the U.S. market following a self-imposed exile of nearly three decades, fielding a tiny 4-passenger model called the 500. As you can see in the Autobytel archive of FIAT pictures, the 500 is loaded with character, and if you know FIAT history, you’ll see plenty of original Cinquecento design cues in this model’s styling. Intended to provide American car buyers with an affordable yet stylish alternative to the usual entry-level econocar, the Fiat 500 has established an early sales lead in the emerging city car vehicle class. And, as reflected in our galleries of FIAT photos, the lineup has expanded from that initial 3-door hatchback offering to include the Fiat 500c convertible, the Fiat 500e electric vehicle, and the Fiat 500L, a 5-passenger multi-purpose vehicle. One thing you won’t find in our FIAT images is evidence of the brand’s history in the U.S. market. Prior to the Italian automaker’s departure from American shores in 1983, the company sold a couple of appealing sports cars. The Bertone-designed Fiat X1/9 was a mid-engined, rear-drive, targa-roofed car weighing about 2,000 pounds and powered by a 75-horsepower 4-cylinder engine. FIAT also sold the 124 Spider in the U.S., a two-seat roadster designed by Pininfarina. At the end of the car’s run, a handful of models were equipped with a turbocharged, 120-horsepower 4-cylinder engine driving the rear wheels. After FIAT stopped selling cars in America, Bertone and Pininfarina offered these models for a short time in the 1980s. Though it is unlikely such models might return to the Fiat lineup in the future – sports cars are almost certainly reserved for Alfa Romeo when it finally restarts American sales – it appears that the brand will continue to expand in years to come.